Weaving supplies are where it all started for us. Since 1971 Halcyon Yarn has helped weavers in their craft with the best selection of yarn, tools and books in the country. We started life as Halcyon - the Weaver’s Friend (in honor of our first loom). Since then we’ve moved, expanded our products to include other fiber arts, and changed our name to Halcyon Yarn. And we’re still the best source for all your weaving needs. If you need an item we don't carry let us know, we may be able to special order it for you. 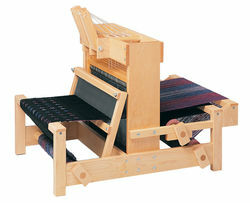 We are also happy to special order parts for any of the looms we stock. Don't forget to check out our popular Weaving and rug yarns and weaving books and weaving patterns.